ATLANTA, GA – June 28, 2016- Tulix Systems, a leading provider of end-to-end over-the-top (OTT) streaming solutions and CDN services, today announced that it has begun offering application development for Apple TV. The new Apple TV deployments are fully integrated with Tulix’s entire OTT solution, meaning content providers can stream and monetize their live, linear, and VOD content through their own branded applications. 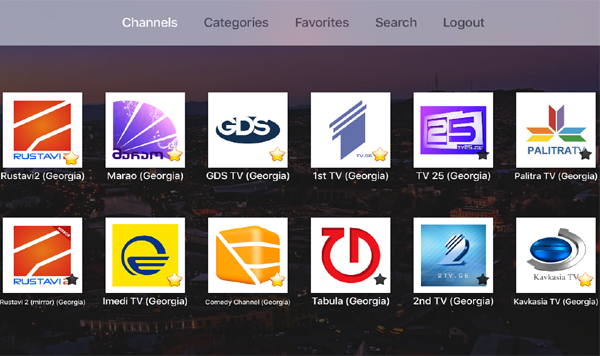 The announcement was made following the successful launch of Tulix’s first Apple TV application for Guda.TV, a subscription streaming television service that is powered entirely by Tulix’s truly end-to-end OTT system. Tulix develops streaming applications for all major OTT platforms, including Android, Android TV, Roku, Amazon Fire TV and iOS. Apple TV launched in 2007, but the platform has only recently opened up for content providers to submit their own applications. With millions of users, Apple TV had long been a targeted device by Tulix, and the company worked quickly to integrate its full solution once the platform opened up to developers. This announcement follows a lengthy research and development phase which involved ensuring that all components of Tulix’s OTT solution would be fully integrated with the new apps. Tulix’s live, linear, and VOD content management systems are fully compatible with the platform, and synchronize content across Apple TV and all other OTT platforms developed by the company. All applications support the whole spectrum of streaming services Tulix offers, including subscription and pay-per-view monetization, cloud DVR archiving, linear playout, adaptive bitrate streaming, and more.